At 0057 hours, Baltimore City Fire Communications toned Box 51-50 for a reported dwelling fire at 3515 E. Baltimore Street. A call was also received at the same time for the 1500 block of W. Baltimore Street which triggered Box 14-70 to be sent to W. Baltimore Street location. Engine 51 quickly cleared the east side box as there was no indication of a fire at their location. Engines 14, 8, 55 (RIT), 36, 23, Trucks 23, 10, Rescue 1, and Battalion Chiefs 3, 6 were assigned to Box 14-30. Engine 14 arrived and hot the plug at W. Baltimore and Gilmore Streets, reporting a 3 story, MOG, with fire showing from the first floor. Truck 23 advised of heavy fire on the first floor in the rear. Battalion Chief 3 assumed incident command and advised he had a 3 story, MOG, appearing to be vacant, with heavy fire 1st and 2nd floor, making this box a working fire. Engine 30, Truck 8, Air Flex 1, Car 5, and Safety Officer 2 made up the working fire assignment. 2 lines were stretched and operated into the first floor from side A and two lines were used for the fire in the rear. With the fire extending to the second and third floors, interior crews were reporting difficulty accessing the 2nd floor. Battalion Chief 3 requesting and additional engine and truck to the scene (Engine 31 and Truck 16). Heavy fire extended to all 3 floors and thru the roof before Command evacuated the building and companies went to a defensive operation at 0123 hours. Numerous hand lines and the master streams from Trucks 10 and 23 poured water on the fire for over an hour before the fire could be darkened down. 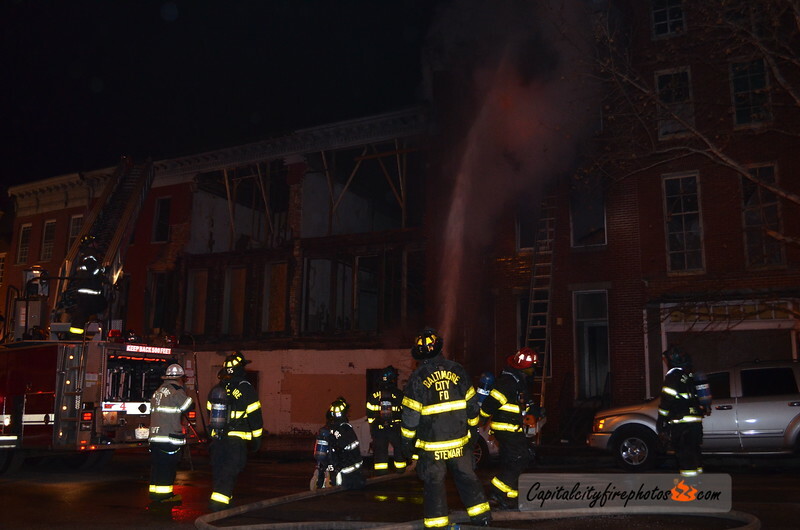 The fire was held to the original fire building with no extension to the exposures.